Keep an eye on this page for our 2019 show updates!!! 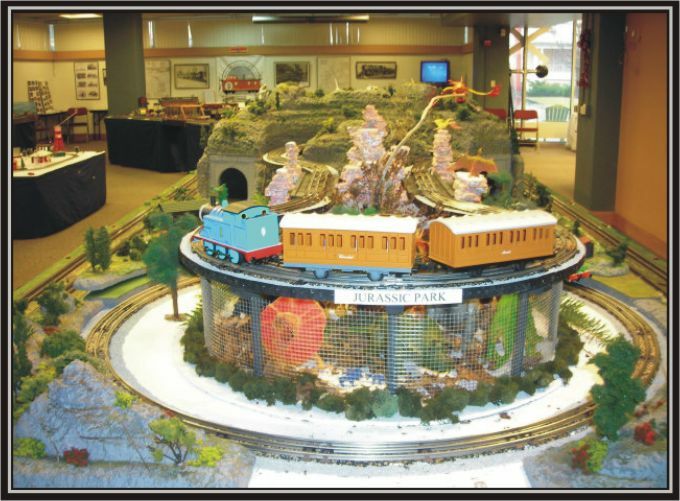 The Festival of Trains has been an annual, holiday tradition in Traverse since 1991. Dave Walker and Rick Antosh, who are considered to be the “Founding Fathers”, began the festival in the Traverse City Opera House. The Festival was a major fundraiser for the renovations at the Opera House and it quickly became a significant attraction for the Traverse City area. When the renovations began in 2002, much to the dismay of hundreds of children (and adults) throughout Northern Michigan, the Festival of Trains shut down due to not having a suitable venue. In 2003, thanks to the help of The Northern Michigan RailRoad Club, the Festival was reborn at its current location, the Historic Carnegie Library on 6th Street, now home to the Crooked Tree Art Center, and formerly known as the Traverse Area Historical Society. The Northern Michigan RailRoad Club has been the primary exhibitor at the Festival since the club’s inception in 2003. Many or our members were also involved with the Festival prior to the existence of the Club at the City Opera House. With nearly 6,000+ visitors each year, the Festival is now one of the largest fundraisers for Traverse City charities and is currently partnering with The Children’s Museum and the City of Traverse City.